Tourist-Channel Slovakia - Špania Dolina Tourist-Channel Slovakia: New homepage! 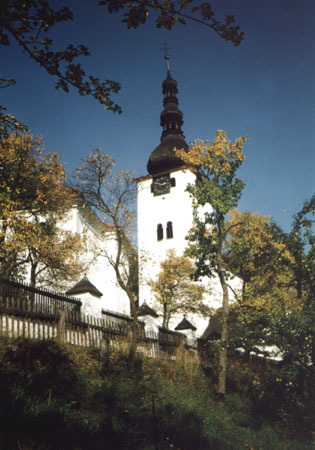 One of the earliest references of Špania Dolina dates from about 4000 - 4500 years in the past. There are a few historical names of the village, which were used in the past these included Montane and Herrengudndu. 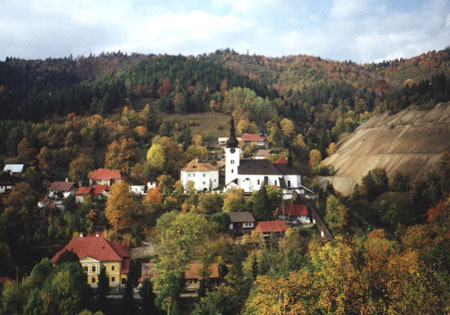 The village is situated in the western part of the Low Tatra Mountains. High quality mineral water springs are located in the area of Špania Dolina. The water is very suitable for the very young. The village has got a long history of mining. Gold, silver and copper - these were the main articles of commerce in the history of the village. Heavy black copper contained about 60 per cent of silver and therefore it was a very popular commodity for the Venetian merchants who extracted silver from the copper ore and used it to produce famous Venetian mirrors. When Columbus anchored in Cuba, he had numerous copper rods and bars on board his ship which all originated from Špania Dolina region. The wreckage of Columbus's ship was found in 1998 and bits of the local copper were found on board. Copper was even used for reconstruction of one of the churches located in Munich in 1992.